Disclosure: We were provided complimentary tickets to Skydeck Chicago at Skydeck Chicago in exchange for this post. All opinions expressed are my own. 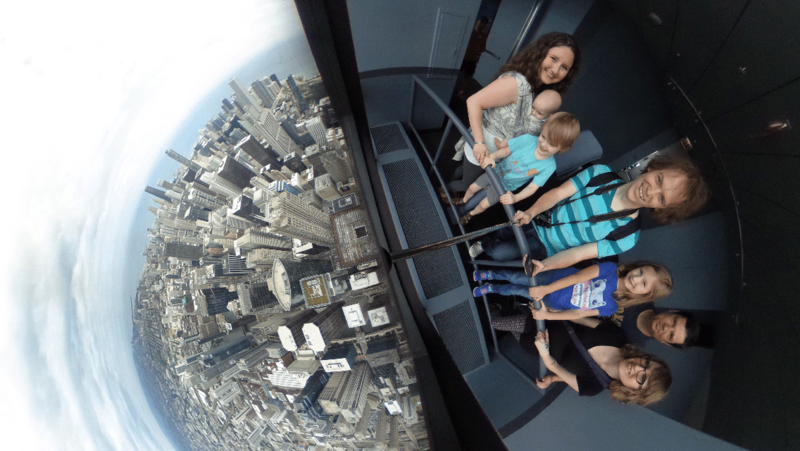 We visited the Skydeck Chicago experience at the Sears Tower recently. Excuse me, Willis Tower. I don’t know that I’ll ever get that straight in my head. It wasn’t the first time I’ve been to visit the experience. It was, however, the first time I’ve attended with kids. I wasn’t sure how Mr. Dude, our four-year-old, would do with the height. He didn’t seem to comprehend exactly how high up we’d be going until we got downtown and saw the building. His response? Excitedly shouting “Wow, I want to go up there!” with his arm outstretched and his index finger pointing up towards the sky. You can tell from the clip below that he has no problem with walking out on the ledge once we got our chance. You might have to pan around to see us. I’m still getting used to this 360 camera. 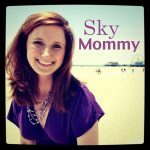 There is a gift shop on the 103rd floor that includes all sorts of items you would expect from a top tourist destination like Skydeck Chicago. See what I did there? Don’t worry if you don’t find what you’re looking for while up there. You’ll exit through a much larger gift shop (complete with hot food and cold drink options) on your way out of the elevators on your way to the exits. The Chicago Skydeck is family friendly. Children under 3 are FREE! There are also lots of clothing and toy options for them in the gift shop areas. Bring quarters along if you want to use the timed lookout spots all around the floor. There are change machines around if you forget. I’ve never been one to consider myself afraid of heights. Today confirmed that. I felt 100% safe while on the 103rd floor as well as while on the ledge. If I ever jump out of a plane I imagine my thoughts on the fears of heights thing might change. Ha! Wesley, on the other hand, seems like he’d be a natural at it. I am so jealous! That looks like an awesome experience. Next story Are you a Dadlete?